Simply divine! 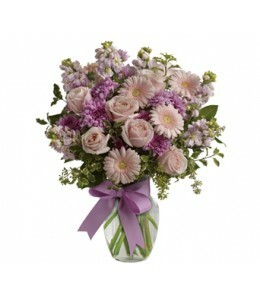 Send them a slice of heaven with this lavish presentation of roses, gerberas and stock in a vase.Flowers are subject to seasonal availability. 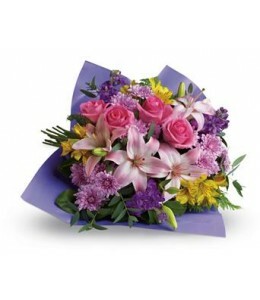 In the event that any of the flowers are u..
Island dreams can come true no matter where you are. 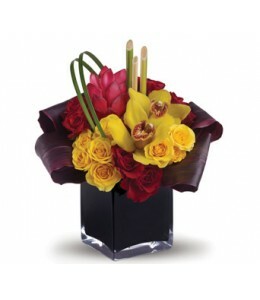 This arrangement beautifully combines tropical flowers with greens and hand-delivers them in a dramatic cube.Flowers are subject to seasonal and re.. 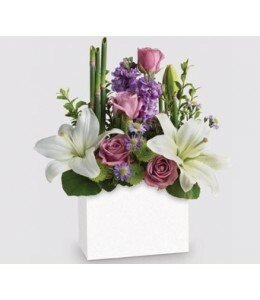 Wondrous white roses, gerberas and carnations in a vase bring a breath of fresh air to your special someone.Flowers are subject to seasonal availability. 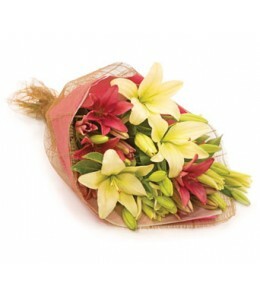 In the event that any of the flowers are unava.. Indeed she is! 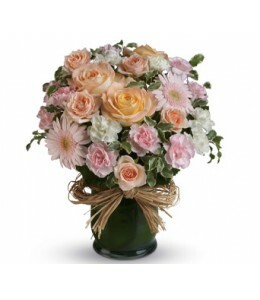 Show her with this soft symphony of feminine blooms, including roses, gerberas and carnations in a raffia lined vase.Flowers are subject to seasonal availability. 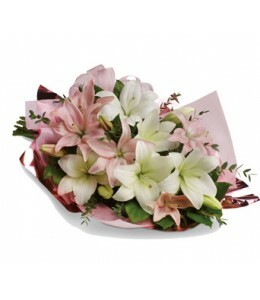 In the event that any ..
Want to make someone’s birthday really rosy? This is the perfect arrangement. 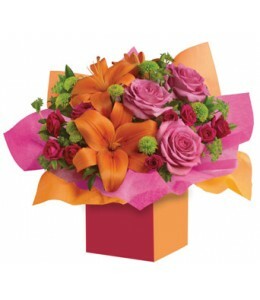 Colourful roses, fun flowers all wrapped up in a box that has Birthday wishes written all over it!Flowers are subject to s..